Here I am waiting for the first snow storm of the year, with my one year old on my lap, contemplating a cup of wine and the hubs and oldest watching a movie. Classes and work have been cancelled for tomorrow and the latest forecast says we should expect 12-18 inches of snow, FUN TIMES! (NOT). Regardless, I appreciate the extra time and will be working on a Maternity Session I did recently. 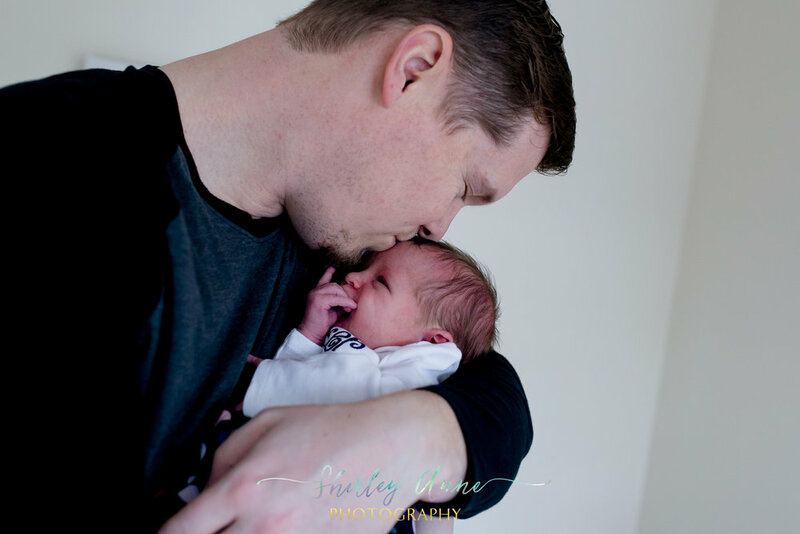 Before continuing with that session I decided to write up a blog post about my first newborn session of the year. Now on to the newborn session. Katy, Connor and their two princesses were a dream to work with. I arrived to their home in the North Shore on the day of the shoot, it was a bit cloudy and wintery since it had snowed a bit in the previous days. Connor welcomed me to the home and took me to were Katy was with their newborn and 2 year old. We spoke for a few minutes, learned a bit about each other and how they are originally from another state which made me feel at home. The little 5 day old princess was awake and ready for her session. I took a few snaps of her while she was on her rocker and then took a few snaps of her older sister. We started the session in the living room and then continued to the nursery. Both rooms had amazing light and were gorgeous to work with. Katy was looking amazing. You could feel the love of these parents towards their princesses and each other. I had so much fun!